Dry skin occurs when the layers of the skin lose essential oils and moisture and is often a side effect of chemotherapy. Chemotherapy drugs like 5-FU can cause the skin to become dry, cracked and peeling. Sometimes there may even be slight bleeding between the lines of skin covering joints such as the knuckles or elbows. 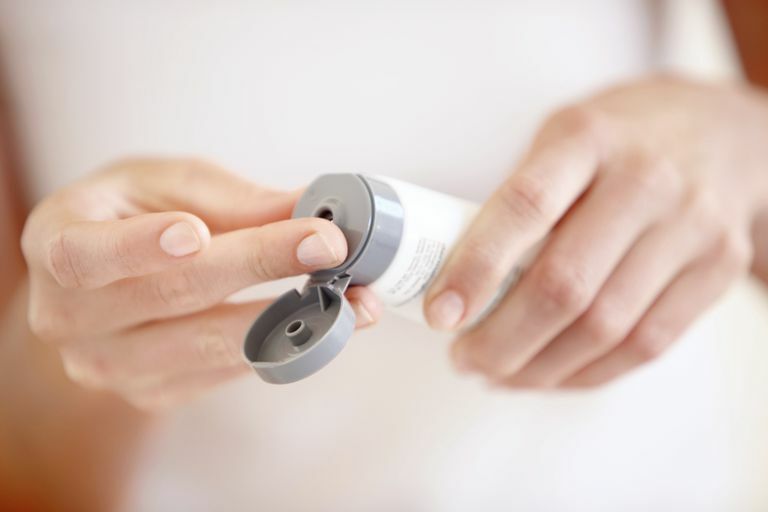 Dry skin can also occur as a result of dehydration, weather conditions, and other medications. Recognize when skin is dry. Dry skin appears rough and flaky. It may also become cracked and peeled. Skin may feel tight and become itchy. Take steps to protect your hands at the first sight of dryness by following the following 6 steps. Keep hydrated. Drink plenty of fluids to keep your body well hydrated. Dehydration is a common cause of skin dryness. Avoid extreme weather conditions. Try to stay out of extreme weather, like severe cold and hot weather. Dry and windy conditions can aggravate dry skin. Avoid personal products containing perfumes and scents. The chemicals in perfumed products like soaps, cosmetics, moisturizers, lotions, and body sprays can irritate skin, causing it to become dry. They also can worsen already dry skin. Use products labeled perfume-free, allergen-free, or "for sensitive skin." Your doctor may recommend an over-the-counter product like Cetaphil to cleanse skin. Take care in not over drying yourself after bathing. Instead of rubbing yourself with a towel, allow your body to dry naturally or pat dry carefully. The friction of rubbing a towel over wet skin can cause and irritate dry skin. Do not use a blow dryer to dry yourself. This can add to dryness. Baby oil or coconut oil can also be applied to wet skin before drying as they trap a layer of moisture between the skin and make excellent skin moisturizers. They can also be very slippery, so be careful when stepping out of the tub or shower after moisturizing. Wash clothes in a mild detergent. Some detergents contain perfumes which can irritate skin. Choose laundry detergents that are free of perfumes, scents, and allergens. They may be labeled as "allergen-free," "unscented" or as a "clear" liquid. Detergents that are marketed for babies also may be mild enough for dry skin but are often more expensive. Protect hands when doing household/outdoor chores. When doing chores like cleaning, washing dishes, or gardening, avoid using extremely hot water and protect your hands by wearing rubber gloves. The gloves will protect you from chemicals in household cleaners and outdoor lawn/gardening products. If you notice your skin becoming increasingly dry and painful, talk to your doctor. Signs of extreme dryness include painful, cracked skin that may or may not bleed, intense itching, redness, and inflammation. Your doctor may be able to prescribe a topical cream or lotion. He or she may also refer you to a dermatologist to aid with the care of your skin. American Cancer Society. Skin Dryness.